Santa has come and gone, and if all that remains of your Christmas celebrations is a sad looking tree and an even sadder looking credit card bill, don’t let the post Christmas grinch get you down. 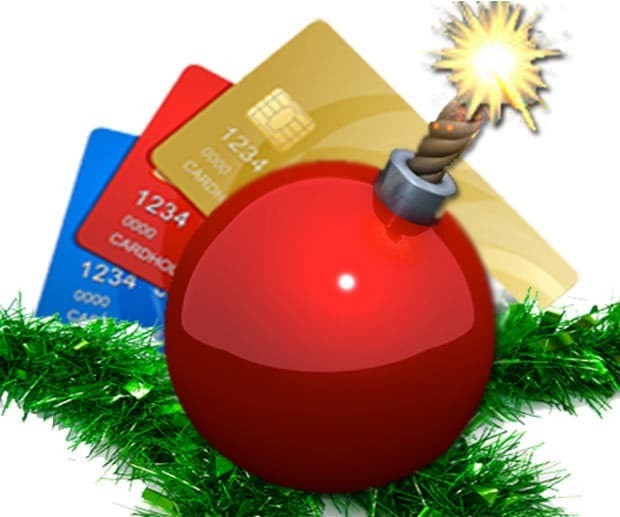 With a handy 0% balance transfer credit card you can blast your debt to smithereens. You know the saying “fail to plan, plan to fail”. Before you sign up with an interest free BT credit card, take the time to workout how long you will need the balance transfer card for - 6 months, 12 months or 24 months etc. Keep in mind the larger your debt, the longer the balance transfer period you will require. After you’ve decided on the length of the balance transfer period, it’s time to put your online shopping skills to good use by comparing different balance transfer deals on Mozo. Look for a balance transfer credit card with a generous BT period, low annual fee and low revert rate. According to Money Smart, Australians owe an average of around $4,200 per card holder. So on a 0% balance transfer offer for 12 months, you’d need to make a monthly repayment of $350 to rid yourself of debt completely within the BT period. Use Mozo’s debt credit card calculator to pull the trigger on your debt! Consider how much you can afford to pay each month, as simply putting your debt on layby by paying the minimum amount will mean you still have that nasty debt left at the end of the BT period. A great option is setting up a direct debit, so you never miss a payment. - Spending on the balance transfer will only get you further into debt, as providers require you to pay off new purchases first. - Any new debt will be charged at the card’s ongoing purchase rate, which can skyrocket over the 20% mark. Let’s give you a scenario. Say you go out and buy yourself some sweet new items (AKA a Fitbit, sunnies and Taylor Swift’s incredible “1989” album...) costing you a total of $300 on the card. If you keep your ongoing monthly repayments at $350 a month. $300 of your monthly repayment will go towards paying off those new trinkets and only a mere $50 of it will go towards reducing the balance transfer debt. Withdrawing money on a balance transfer card is a massive no, no because you’ll be charged interest from day dot, until it’s paid off in full. While a 0% interest free credit card is a great way of giving yourself some breathing room, don’t forget that many balance transfer cards revert to the much higher cash advance rate after the BT period comes to an end. A smart move is to look for a balance transfer card with a low revert rate like ANZ’s Low Rate card with an interest free period for 16 months and a super low revert rate of 13.49%. Shifting debt from one balance transfer card to another will hurt your credit rating. So pay off the balance in full each month to blast your debt into smithereens and say goodbye to credit card debt for good.